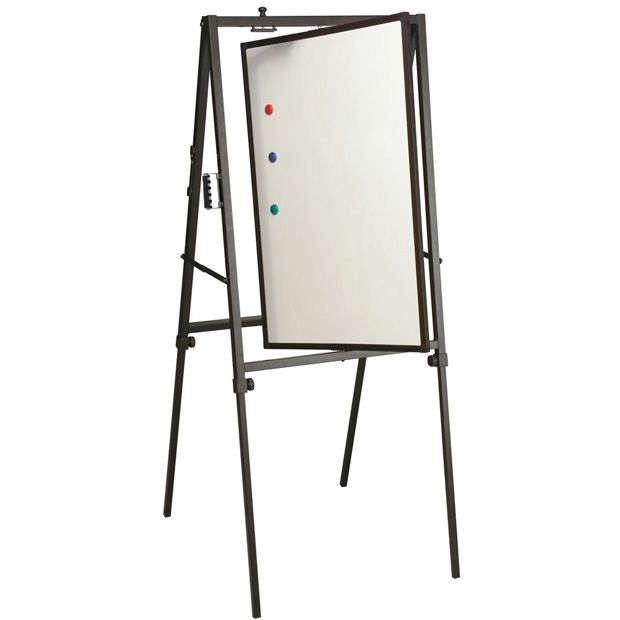 * The Spinner Easel has a double sided dry erase surface that rotates 360° on a vertical axis. * Markerboard surface doubles as a magnetic bulletin board. 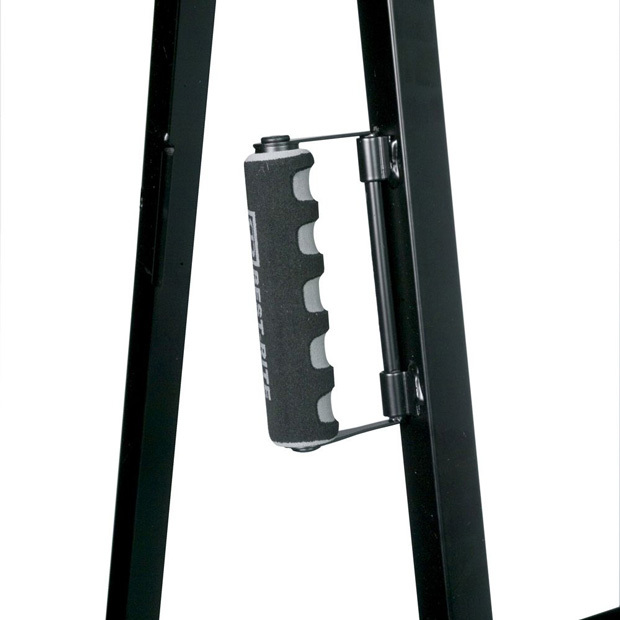 * Height adjustable from 40.5" for tabletop use to 69" for floor use. * Cushioned handle makes transport easy. * Easel folds and legs telescope for compact storage. 45" x 30" x 4"